Pineapples on my dress that is! 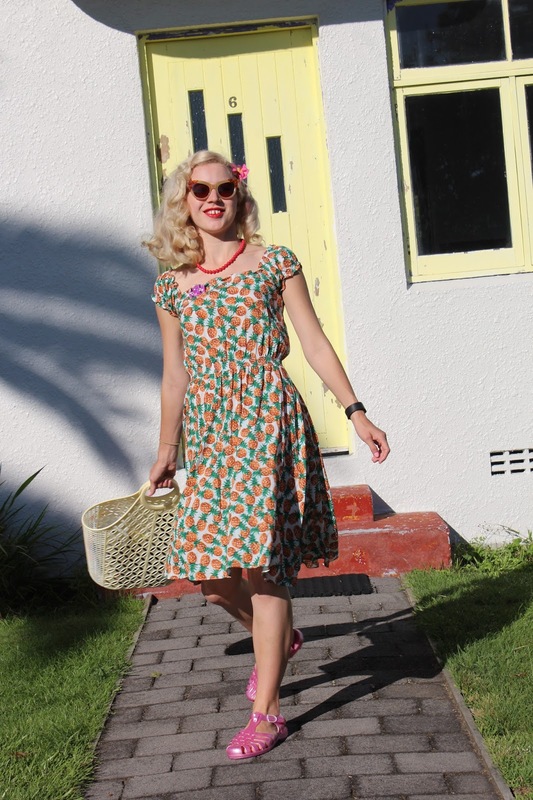 I packed quite a few outfits to wear on my trip and this dress was so comfortable to wear on a summer holiday. Last time I was in Rotorua, New Zealand was back in 2010 so it was good to visit again even if it was just a brief stop over. 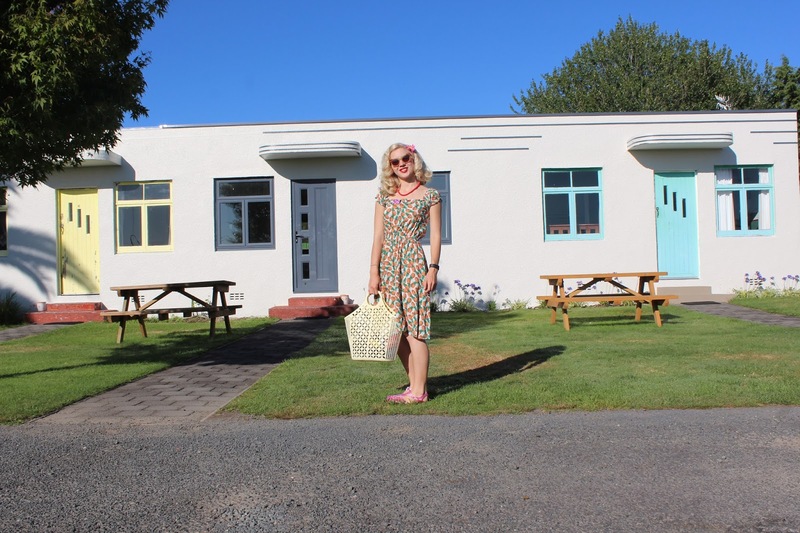 We booked a cabin at a holiday park and it turned out to be a sweet little place by the river with the cutest art deco buildings. 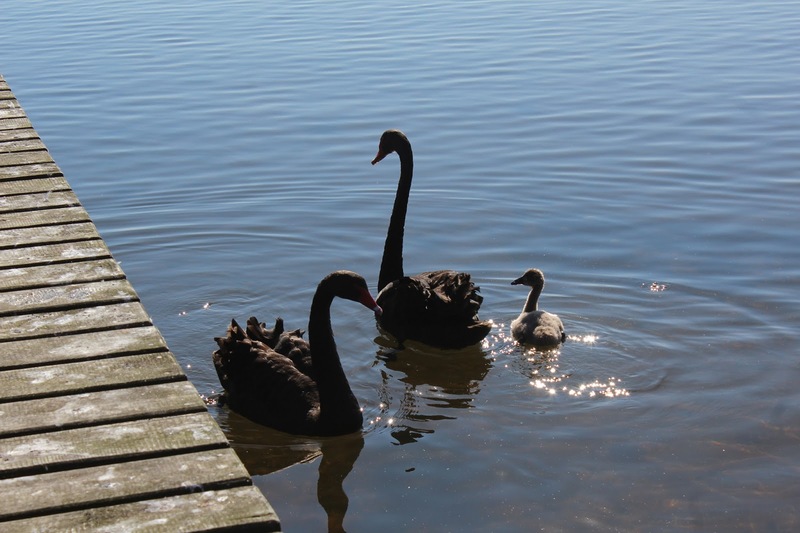 It was lovely to see the beautiful black swans when we arrived that evening and then the next morning before we left. We always like to go on the gondola and luge when in Rotorua and mum and I spent about two hours or so at the tracks this time. 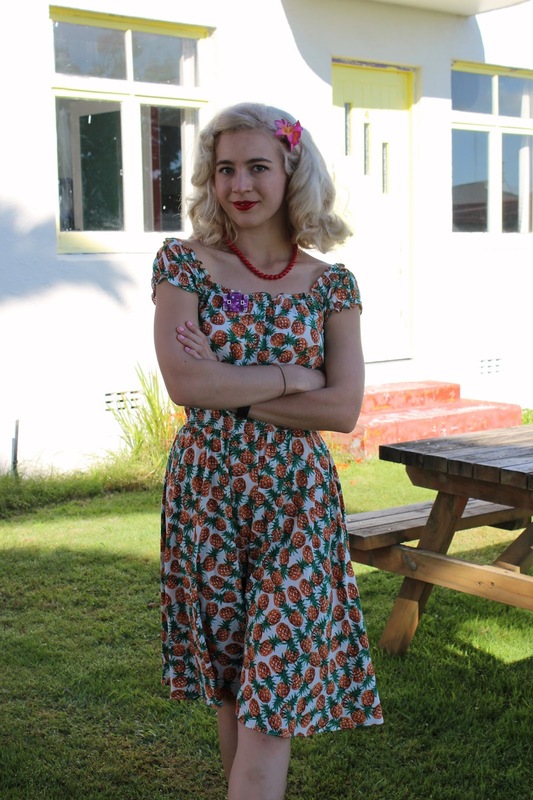 My pineapple dress was very holiday appropriate both for the fun style/print and of course how light and comfy it is to wear. I was lucky to grab it on sale a few months ago and I have worn it quite a few times now. 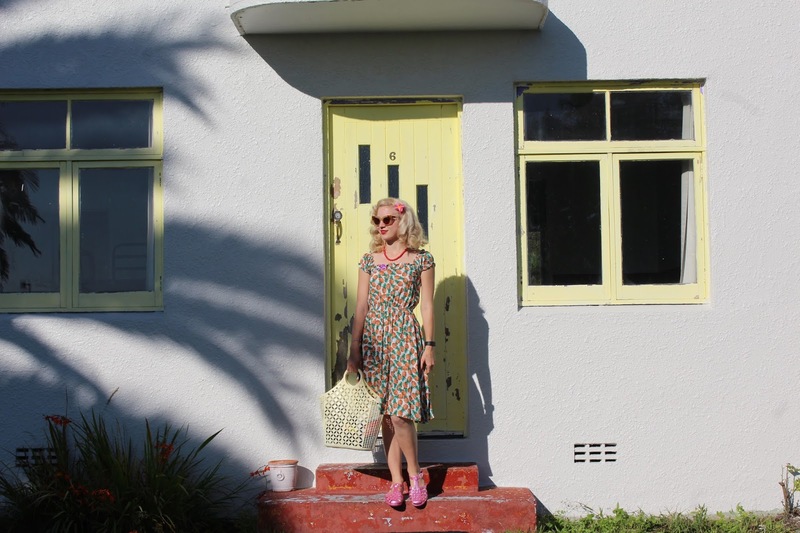 My Sun Jellies shoes were another holiday essential, they are really comfortable and quite practical (I even wore them on the luge), they come in so many colours so I will definitely have to add another pair to my wardrobe soon. Oh and my Erstwilder suitcase brooch was the perfect little gift from Max before I left for NZ. This was probably one of my favourite holiday outfits from this trip! 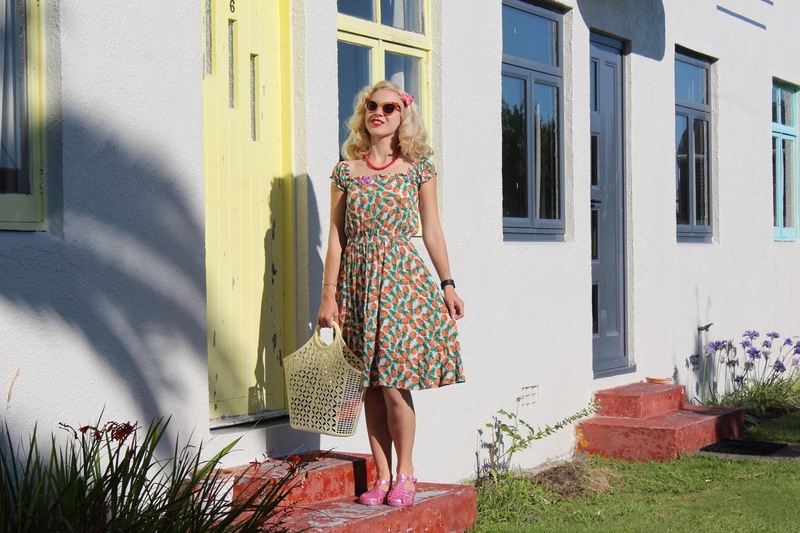 I have had a bit of a slow week on the blog, I have been extra busy and the hot weather has drained my energy... Though we adopted a new kitten so that added to my tiredness but it's fun taking care of a little animal. George is the sweetest little ginger cat, he loves to play, talk and snuggle and you can just tell how appreciative he is to now have a home. The dogs came with us to adopt him so they met him straight away, they really love him and always check where he is and they give his ears a lick, he likes to rub up against them too. Kitty is a little confused and probably wonders when he will be leaving. But she is curious at the same time, hopefully they will become good friends as I think that is what Kitty needs. Splendidly pretty outfit! I love pineapple themed fashions, too. 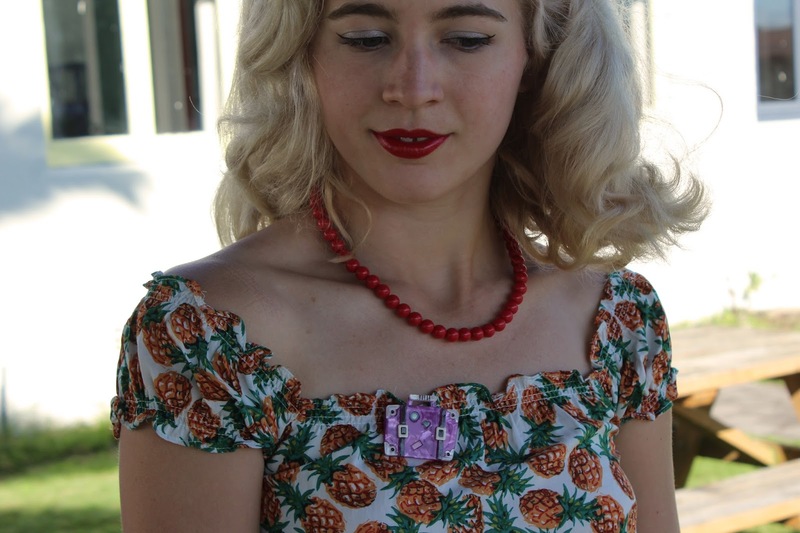 I don't think I've ever had a dress starring them, but I did (fairly) recently pick up my first pair of pineapple earrings, which I'm thoroughly psyched about (I just know they're going to be a warm weather staple for me). 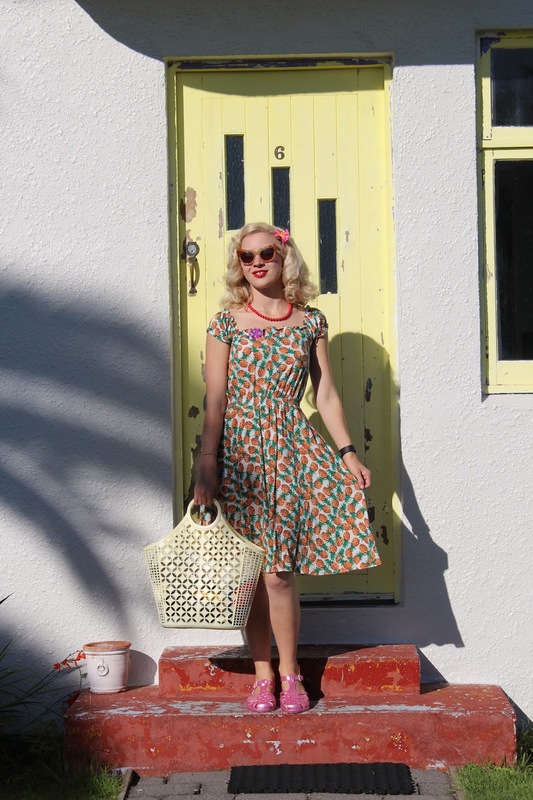 I own the wiggle version in this same print from Collectif! Love this print! You seriously look like you had the best trip ever! I love this dress on you so much! 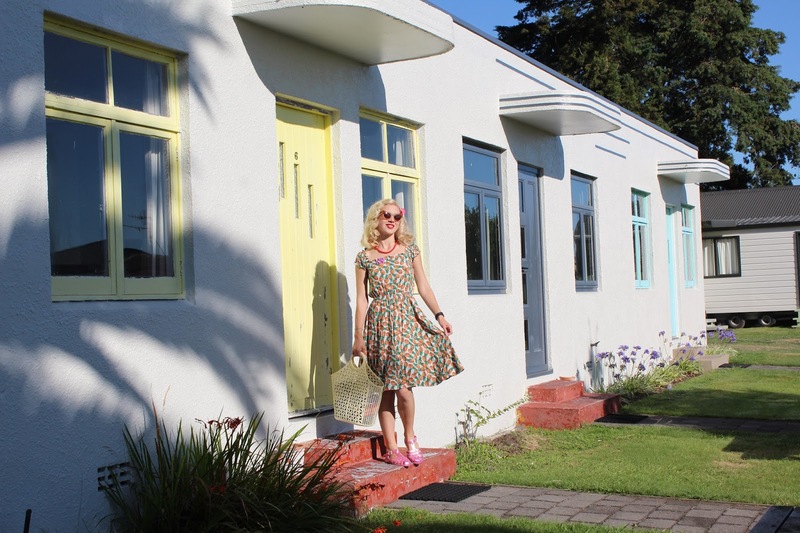 And how cute is that little building you're standing in front of?! This is the perfect setting for such a cute look! 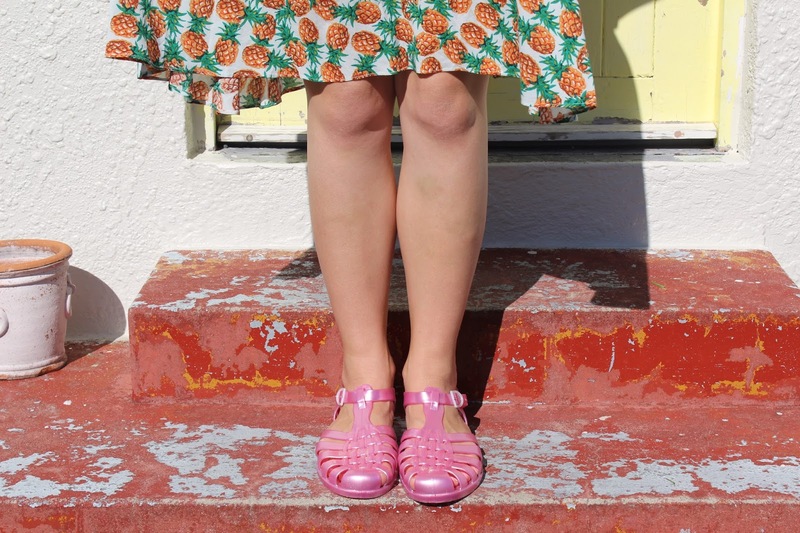 And those jelly shoes- I used to have some whe I was a little girl! Now I want a pair! Gorgeous photos! I love your dress and outfit. Those jelly shoes are so cute on you! I really love that building. 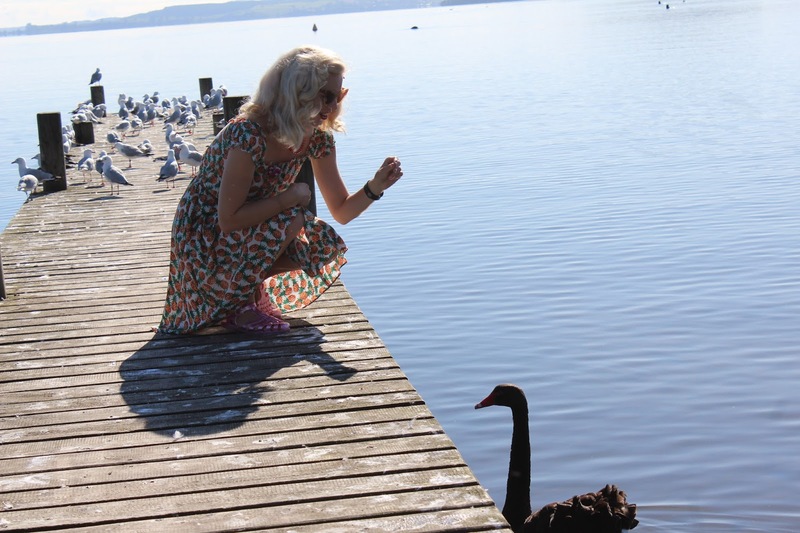 It sounds like you had a wonderful trip to Rotorua! I really love the hot springs there. Congrats on your new kitten! Cats are my absolute favorite! seriously you look like you had the best trip ever! I love this dress on you so much! And how cute is that little building you're standing in front of? !